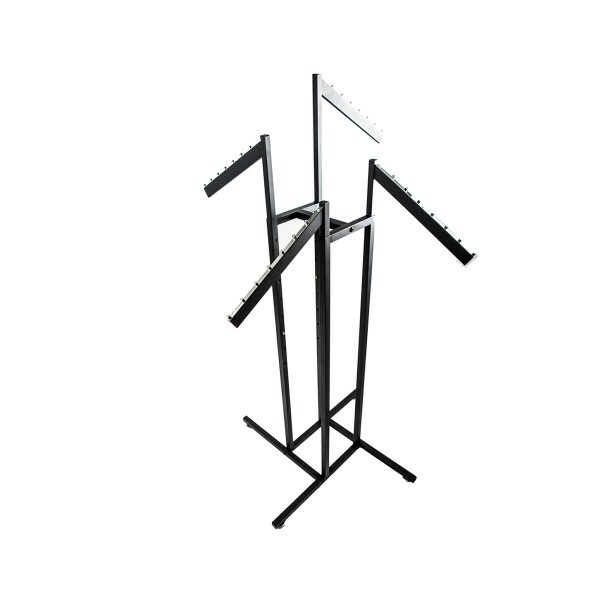 Black 4 arm slanted garment rack with adjustable heights from 48" to 72" in 3-inch increments.2-way upright rack, Textured black finish, Rectangular tubing,2 waterfall arms, Casters included. 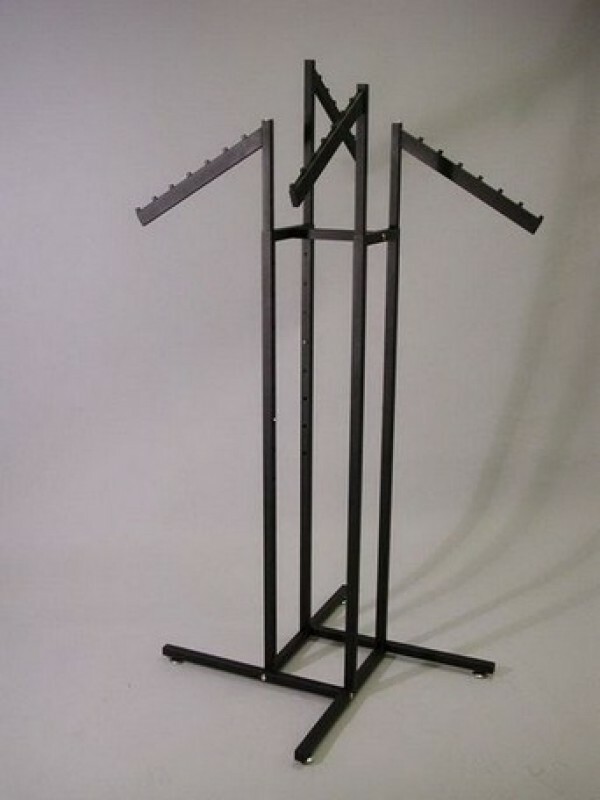 Black 4-Way Garment Rack. Easy Push Button Adjustable Height. 48" to 72" High in 3" Increments. Arms 18" in Length. Slanted Arms for Full Display of Merchandise.